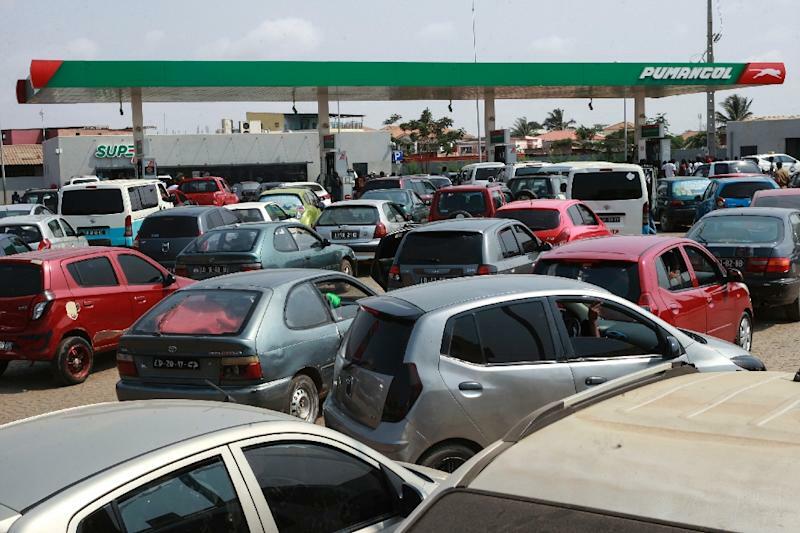 Luanda (AFP) - Long queues formed at petrol stations in the capital Luanda on Thursday as Angola, a major oil producer, struggled with a fuel shortage that is now in its second week. Filling stations were low or out of petrol, also known as gasoline, in most of the country's provinces, according to local people contacted by AFP. "I have been queueing now for two hours," said Luanda resident Adao Samba, who had come to a petrol station by foot. "My motorbike is at home, and I couldn't drive it here because of the fuel shortage," he said, adding that he had been unable to work the previous day. Fuel rationing has caused a surge in prices on the black market. In the northern province of Zaire, a litre (1.8 pints) of high-octane petrol, priced at 500 kwanza ($1.6 dollars, 1.4 euros) at filling stations, was changing hands for triple that amount. The national oil company Sonangol said it had experienced "some delays in unloading fuel" in Angolan ports, but did not provide further details about the problems. It said the situation would return to normal in the coming days. Angola produced 1.47 million barrels of crude per day last month, according to the International Energy Agency (IEA). However, the country does not have an oil refinery and petrol and other refined products are imported from abroad. In 2014, a slump in oil prices badly hit government revenue, unleashing a budget crisis that endures today. Sonangol also has a history of financial problems. The last major fuel shortage occurred in December 2017, and was attributed by Sonangol to payment problems for some of its suppliers.